Description: The newest Raspberry Pi enclosure is here, and trust us, it's tough. 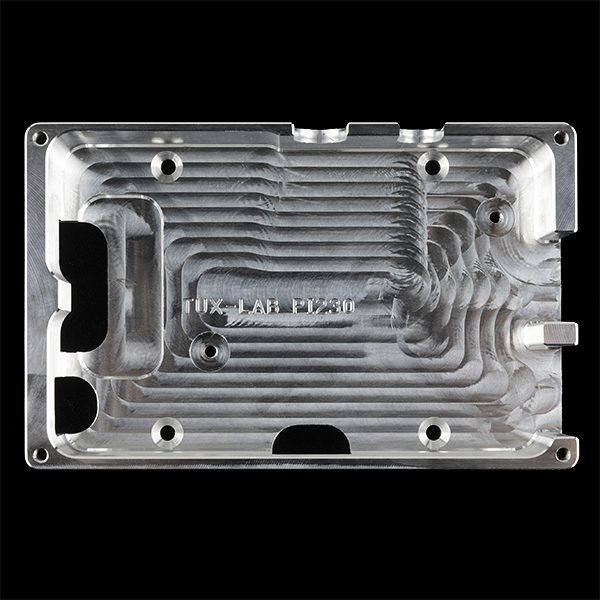 The TuxCase from Tux-Lab is a nice snug enclosure for Raspberry Pi boards that is machined out of a chunk of 6061 extruded aluminum bar stock. A .118" thick acrylic cover protects the top side of the board while letting you see the status LEDs and providing access to things like the Ethernet, HDMI, and audio jacks. Of course there are openings milled out for the USB 2.0 and micro connectors so you can easily connect power to the board in the enclosure. 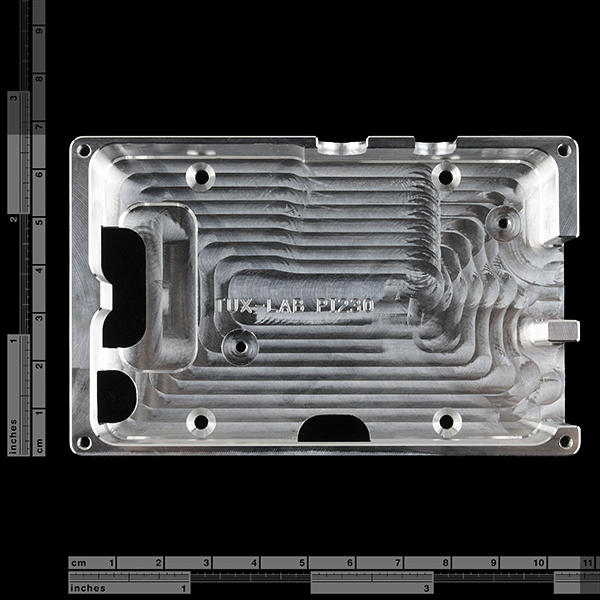 Six 4-40 screws are included for attaching the Raspberry Pi board to the enclosure and for securing the acrylic cover. 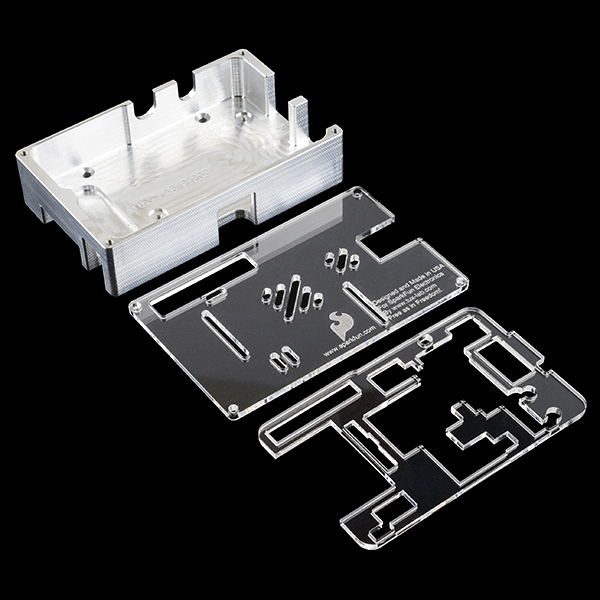 If you want to easily be able to remove your Raspberry Pi from the enclosure, there is an acrylic loor spacer that also comes available with the TuxCase. 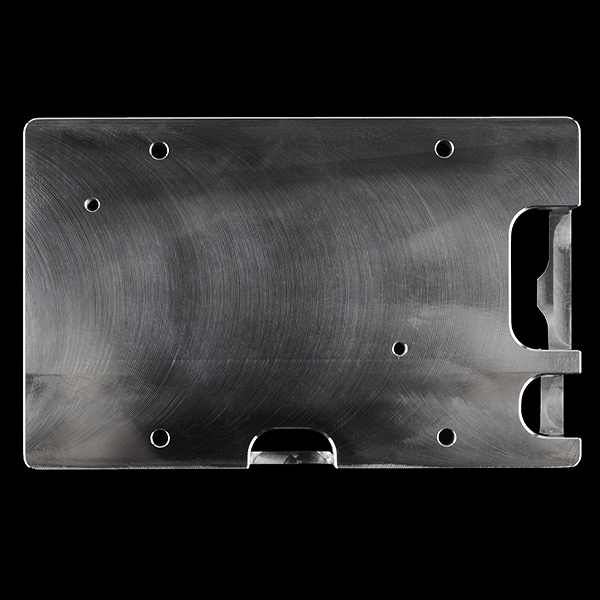 Also, there are four additional mounting hole drilled and chamfered at 100 degrees into the base of the enclosure to secure your Pi to any surface.